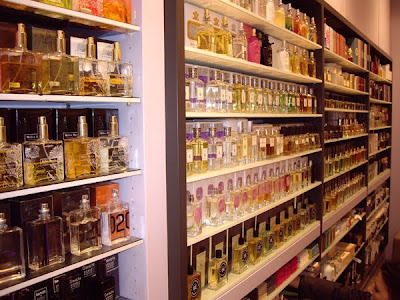 Visitors to Hamburg, Germany will find perfumeries practically on every street corner. The major German franchise Douglas has stores dotted across the country and in all major European cities. 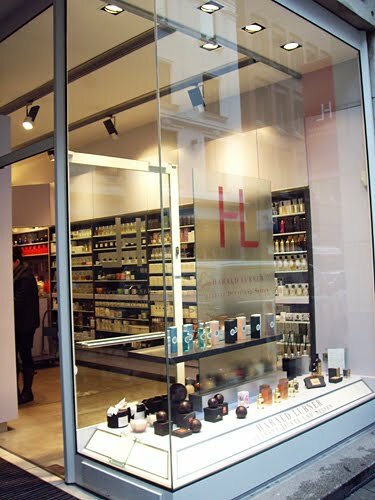 For the niche perfume enthusiast however, my recommendation is that you forego the mainstream stores and visit Harald Lubner - a beautiful boutique perfumery with a massive perfume portfolio that will keep you amused for hours! In 2000, Harald Lubner flung open its doors and has been catering to clients looking for luxury scented products ever since. The store is stocked from floor to ceiling with over 80 international brands of perfumes, room fragrance and skincare products - but only those that qualitatively stand head and shoulders above the rest. On the day of my visit, the staff were attentive and friendly and allowed me the space we required to fully explore the range. Harald Lubner himself was also at our disposal if we wished to seek specialist advice. After exchanging a few words, I understood the impeccable perfume portfolio on offer had been hand-selected by a man with a vast knowledge and clear passion for the art. Just some of the brands waiting to explore include: Montale, Esteban, Byredo Parfums, Nasomatto, Miller Harris, Frederic Malle, Etro, Lorenzo Villoresi, Parfums Generale, Creed, Keiko Mecheri, Czech & Speake, Diptyque, L'Artisan Parfumeur, and many, many more. Mon-Fri 11-19, Sat. 10.30 - 16. One other unrelated niche perfumery exists in Hamburg at Hamburger Hof, although they are notorious for their appalling service. The day I visited was proof positive that the rumours are true. If you enjoy shopping in an environment where pretentious sales staff and management dress you down with their eyes and denounce any measure of knowledge that you might have, then I strongly recommend a visit - but just so you can witness it for yourself. I adamantly suggest you save your euros for Harald Lubner though - the two retail outlets and shopping experiences are simply poles apart. Le Cherche Midi sample winners! 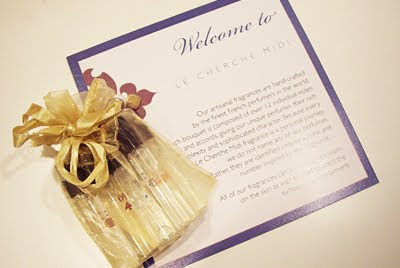 Warm congratulations to our 2 winners of full Le Cherche Midi sample sets! Renia and Federica were two names selected at random as winners in the comp! I will be contacting you both to obtain further details. For the remaining participants, a big thank you from Sorcery of Scent for your expression of interest! Stay tuned for more competitions that will be coming up closer to the Holidays! When it comes to scenting a living space, I tend to be rather persnickety. Incense sticks that are too husky, or room sprays that vanish in a matter of seconds will always find their place amongst the clutter in my kitchen bin, toute suite. 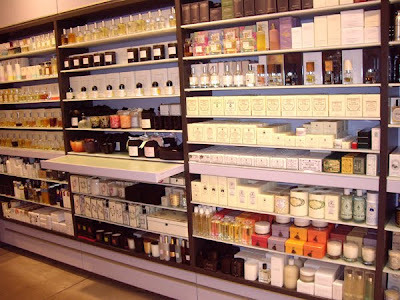 Nine times out of ten, you get what you pay for, which often makes shopping for ambient perfumes a very expensive exercise. Fortunately, a breath of fresh air on the luxury perfume front is artisanal fragrance house Le Cherche Midi - whose innovative series of perfumed products are set to position them as heavyweights on the international market. This house, whose roots extend back to the charming Left Bank of Paris, is proof positive that exceptional value for money does not necessarily compromise quality. 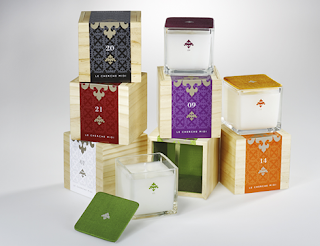 Winning the 2008 Best Off Main Awards for Most Luxurious Candle Line and Best Gift over $50, Le Cherche Midi was also named as a finalist for the 2008 FiFi Awards for Interior Scent... all accolades that in my opinion, have been rightfully bestowed. 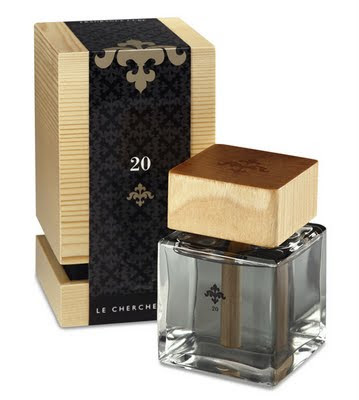 Working with a number of world renowned French perfumers, Le Cherche Midi created a series of complex and sophisticated fragrances d'ambience, each of which bear no name. Instead, each has been assigned a colour and a number, leaving the customer the opportunity to interpret and respond to them in their own way. Surprisingly, their skin-safe fragrance mists are intended to be worn on the skin, as well as used to scent your surroundings. I was recently furnished with a number of products from the LCM range, each of which are beautifully presented in hand-crafted wooden boxes, with pure silk linings. Of particular note, is their unprecedented "Fragrance Cube" reedless diffuser - a patent-pending product that does away with fussy reed-flipping and potential messes. 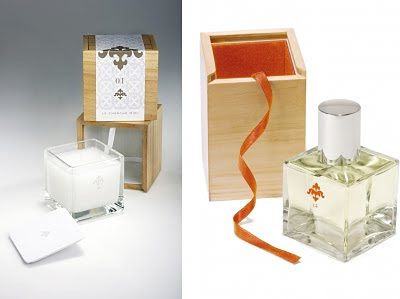 (A dowel plug dipped into the alcohol-free fragrance draws up the fragrant oil and diffuses it through the solid wooden top). Here in Denmark, as the days darken by 4.30pm and the temperatures barely peer above zero, our home, unfortunately, rarely has the opportunity to be aired. In the last few days since opening the Fragrance Cube, our living space has been discreetly perfumed and we are conscious of a distinct aura of "clean and comfortable" that has permeated through. BEGONE, gruff, gravelly incense! BEGONE, I say! 01 - Aquatic/oceanic "sporty" accords of bergamot, lavender, mint and oakmoss. 05 - Grassy greens, laundered sheets: pine, galbanum, tonka beans. 09 - Oriental candied cashmere: lemon meringue, indolic florals, amber, patch & vanilla absolute. 20 - Dank earthy cedar: bergamot, black pepper, amber, cedar & sandalwood. Think: Terre d'Hermés. CT01 - Damp autumn underbrush: cypress, fir, sage, pine, aged vetiver. 2 very lucky readers have the chance to win a full set of all 8 Le Cherche Midi samples so they can try the line. Simply comment on this post, and tell me which of the scents above appeals to you the most and why. Be sure to enable your contact email address, so you can be notified if you're a winner! 2 winners will be selected at random, and their names published here in the weeks to come.